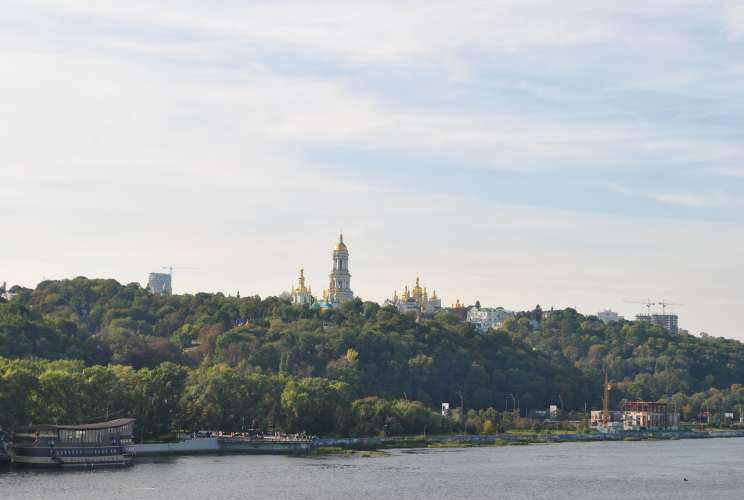 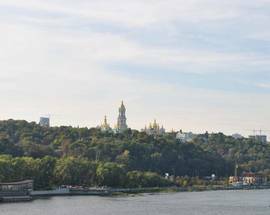 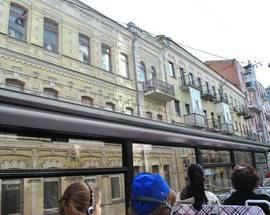 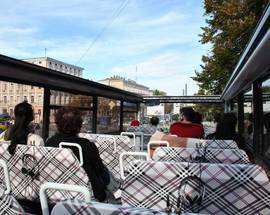 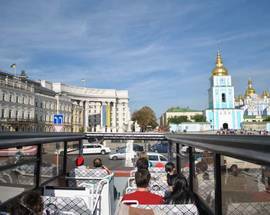 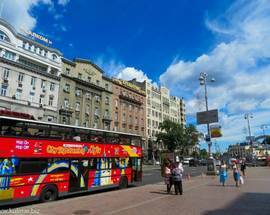 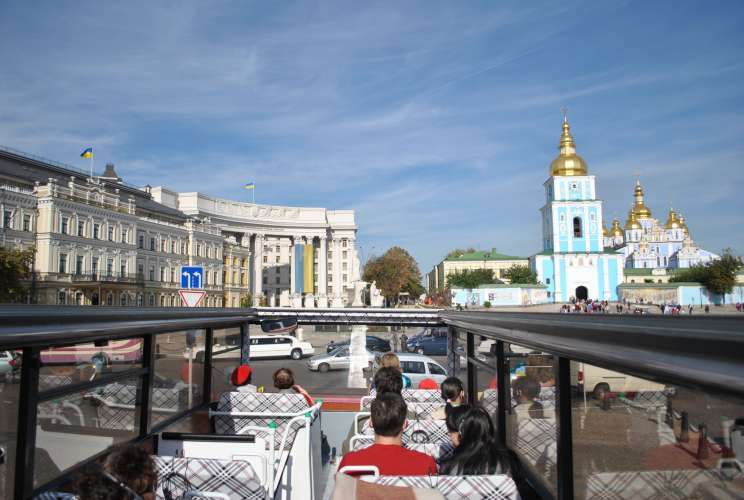 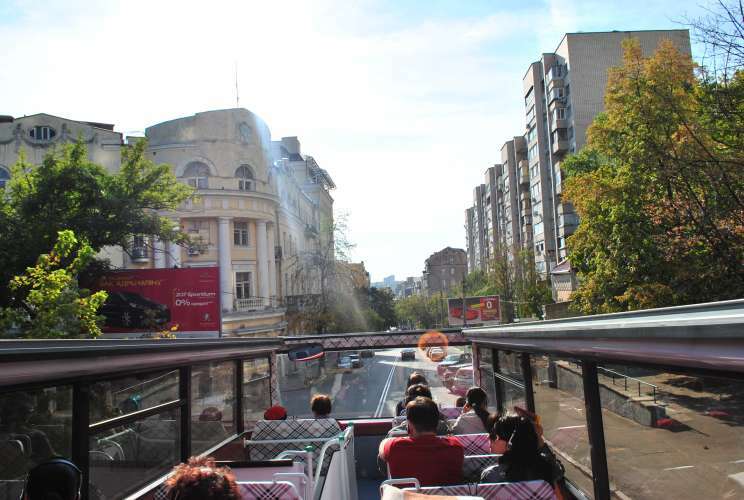 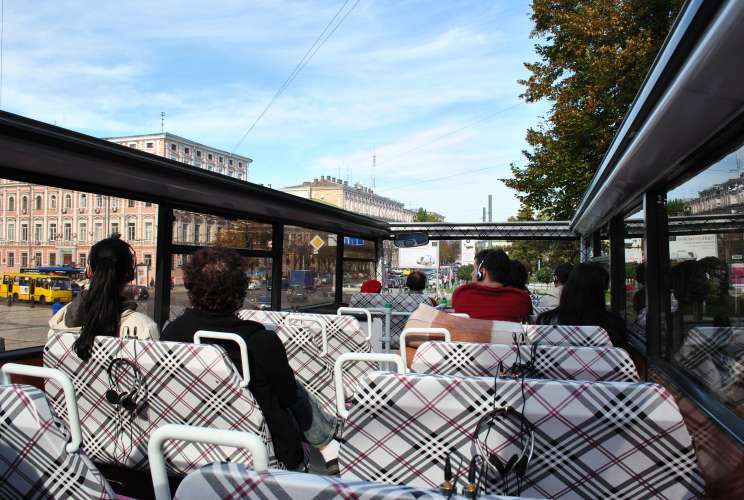 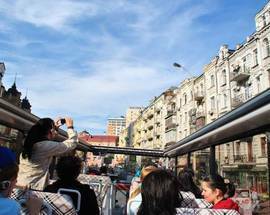 Open Kiev provides Hop-on Hop-off daily sightseeing bus tours on open top double decker with fantastic views of Kyiv. 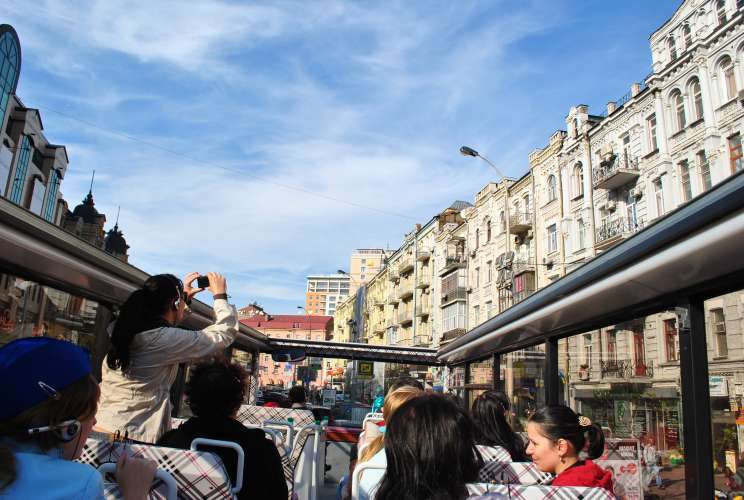 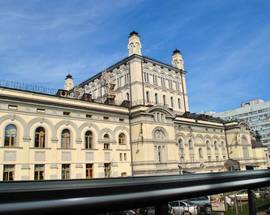 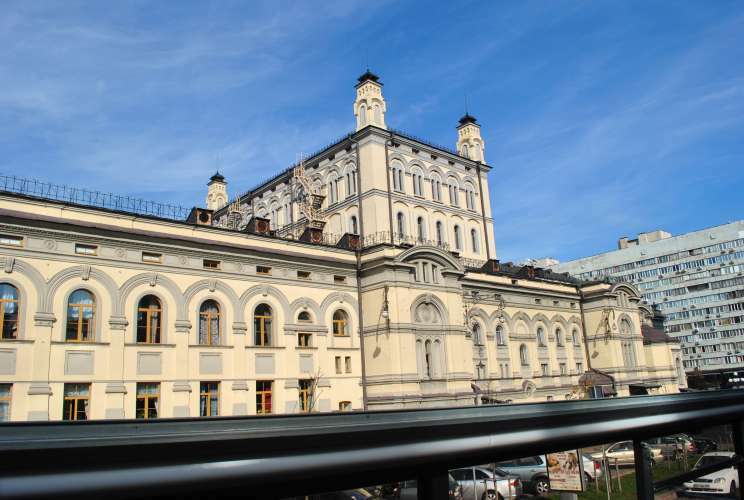 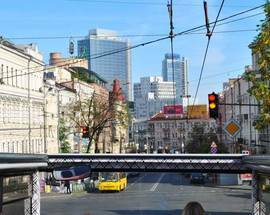 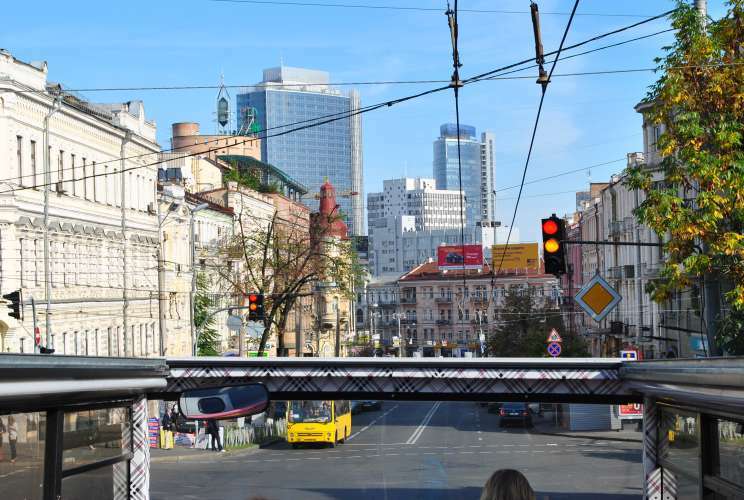 The first circle of the tour starts at 10:00 from the stop next to Maidan Nezalezhnosti. 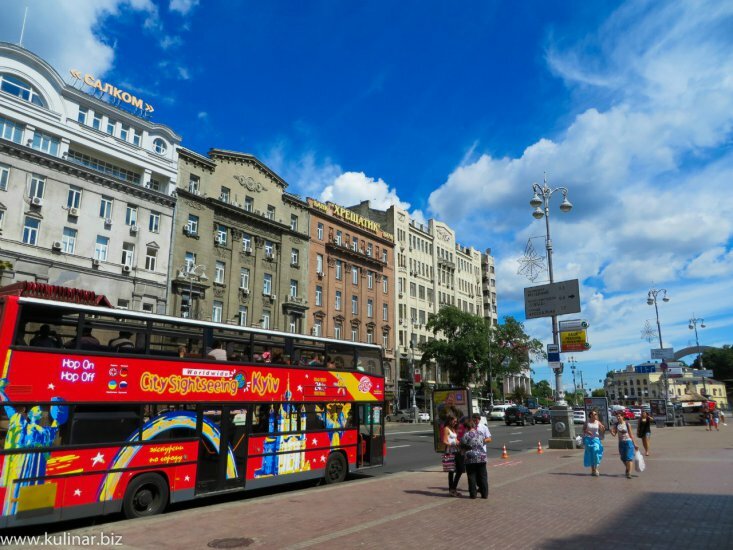 You can catch a bus on one of 25 stops around Kyiv, then take off at any of them, have a stroll down Khreschatyk or any other and catch the bus again. 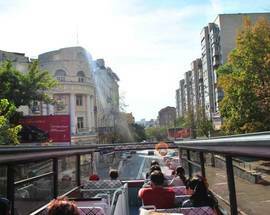 Buses go roughly every 20 minutes. 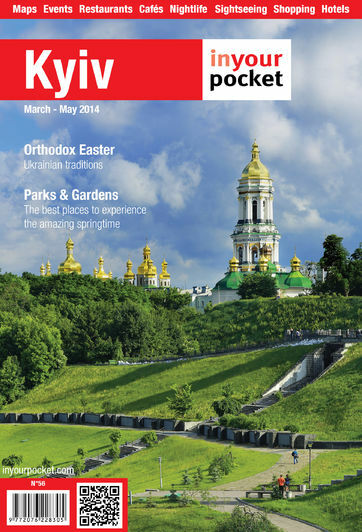 Commentaries available in English, Russian and Ukrainian. 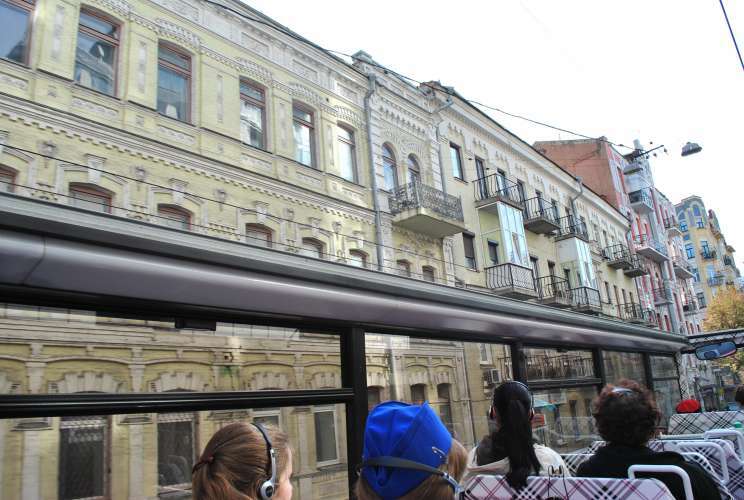 Ticket 250Hr for 2 days ticket, kids - 150Hr, under 7 for free.